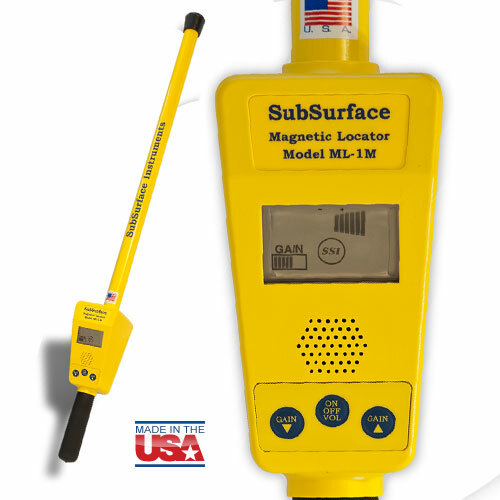 The SubSurface Instruments Magnetic Locator ML-1M, can be used to find iron and steel targets. 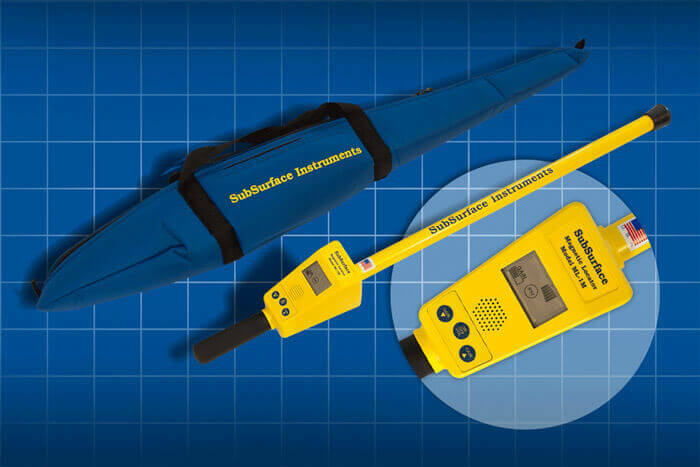 The ML-1M additionally features a digital meter that provides for visual signal strength, polarity indication, gain setting plus battery life display. The metered model (ML-1M) adds features without adding complexity. Electronic keypad that "clicks" when a key is depressed. A "real" speaker is in the front panel, providing outstanding volume. I really like this unit and it's warranty is what made me go with this one over the others. Its made in the USA which is important to me. We bought 5 of these for our city water department and no complaints. I gave it 4 stars since I haven't personally used one but since I haven't heard any complaints from the guys I assume they're happy. Edward R.
quality made unit from what i can tell. have owned it now for 2 weeks so time will tell but so far so good. Tim S.
I like this better than my Schonstedt that finally quit on me. I figured it was time to try something different and glad I did.